Early this morning, I watched the sky turn as red and dappled as a Gala apple. Yesterday my mother warned me about a coming ice storm, and now the sky foreshadowed it, too. I had cancelled today’s plans based on my mom’s predictions, and right now the day ahead looks like one for staying home, bundling up, drinking tea and enjoying comfort food. 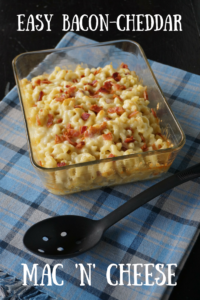 This Bacon Cheddar Mac ‘n’ Cheese makes it easy to cook up comfort food and bring on the memories. 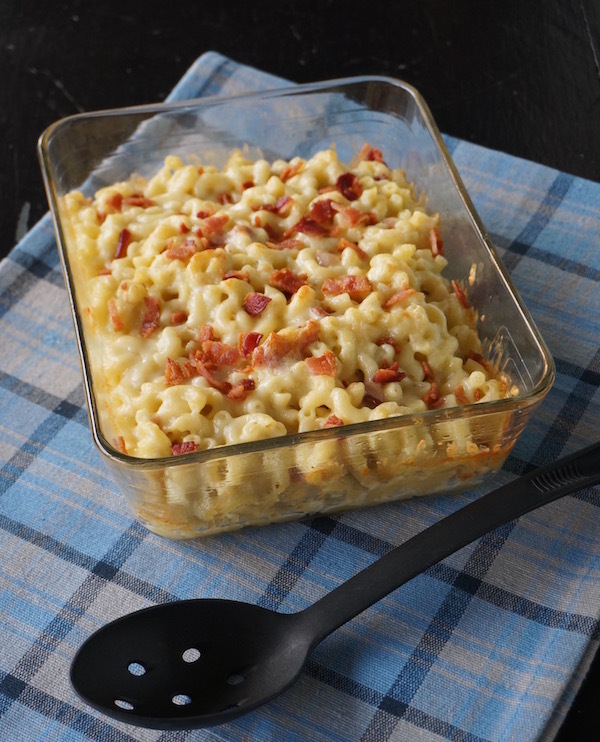 Using Conebella Farm Bacon Cheddar spread as the base for the sauce increases the flavor– and the ease– of this dish. It’s sure to get you through any icy wintry weather ahead! Preheat oven to 400 F. Boil pasta. 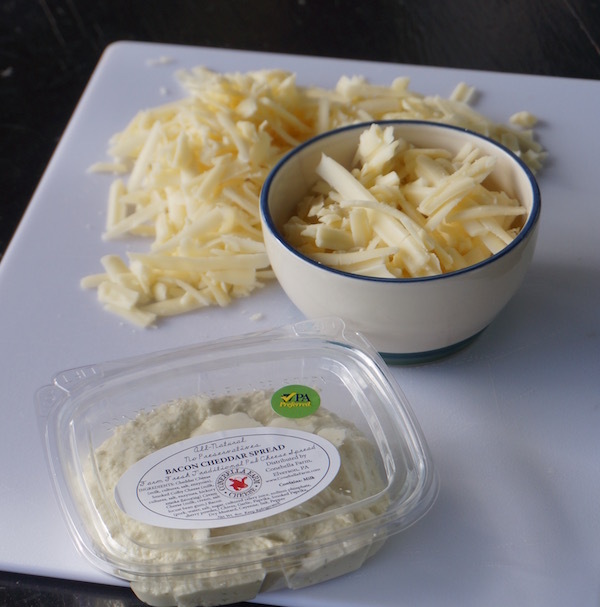 Melt Conebella Farm Bacon Cheddar spread with 1-2 tablespoons milk. Drain the pasta when it has cooked and return it to the pot. Pour melted spread over macaroni. Add 1 cup shredded sharp cheddar and 2 slices of cooked, crumbled bacon and stir until sharp cheese has melted. Transfer the pasta mixture to a greased 2 quart glass baking dish. Top with remaining cheese and crumbled bacon. Cook at 400 F for about 20 minutes or until golden brown. ← Whoa, Nelly! This Corn Dip is Amazing.